Arsenal won big in the Premier League October Awards 2018 with their striker Pierre Emerick Aubameyang winning the player of the month award and Aaron Ramsey winning the goal of the month. 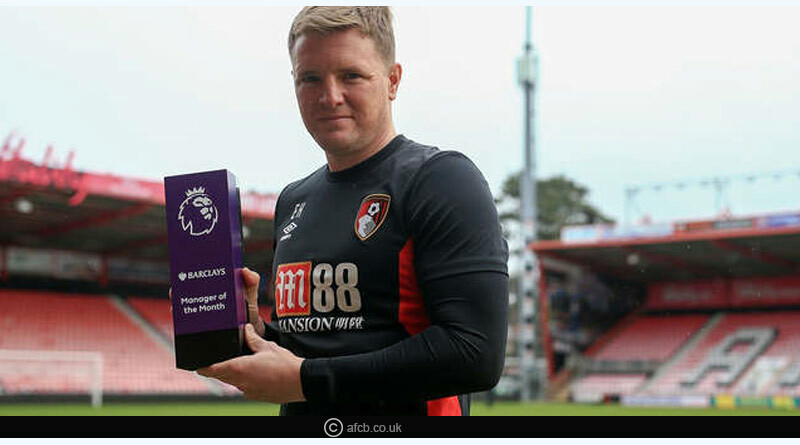 Bournemouth manager Eddie was named the manager of the month by the premier league. 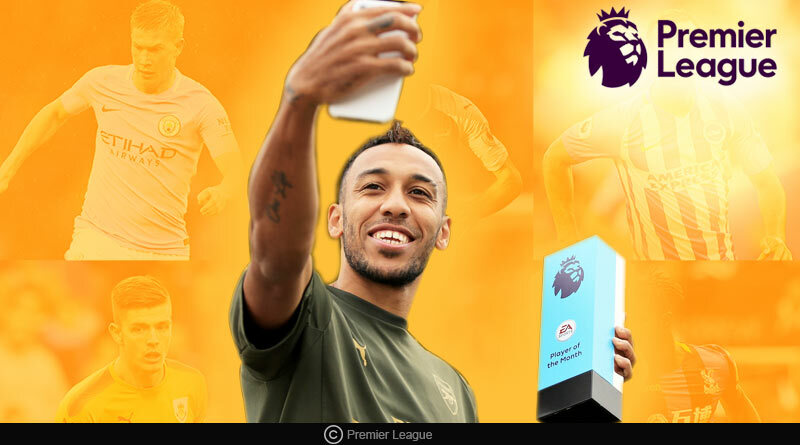 The monthly awards of the Premier League October Awards 2018 saw Aubameyang win the player of the month award on the back of some good displays for his side. Be it from the bench or as a starter, Aubameyang helped his side clinch vital points in the league throughout October to ensure that Arsenal entered the top 4. The attacker beat nominees including Bournemouth forward Callum Wilson, Chelsea midfielder Ross Barkley, Manchester United forward Anthony Martial, Manchester City midfielder Fernandinho and Matt Ryan of Brighton and Hove Albion. Aubameyang had scored 5 goals in 3 matches for his side in October, including an impactful 30-minute appearance from the bench against Fulham that had seen his side take home the three points on the night. He joined Lucas Moura and Eden Hazard in winning the prestigious award this season. Bournemouth manager Eddie Howe replaced Wolverhampton’s Nuno Espirito who won the September award for manager of the month after a blistering month for his side saw Bournemouth break into the top 6. Delightful and fluid attacking football has made everyone stand and take attention to Bournemouth this campaign who have been scoring for fun with Callum Wilson, Josh King, and Ryan Fraser in the attack. Arsenal did a double for the month of October with Aaron Ramsey piping team-mate Aubameyang to the goal of the season award. A well worked, delicious move by Arsenal saw Ramsey round it off to win the Carling Goal of the Month award for his goal against Fulham. He beat other nominees which included Ricardo Pereira of Leicester City, Gylfi Sigurdsson of Everton, Manchester City new recruit Riyadh Mahrez, Roberto Pereyra of Watford, Pierre-Emerick Aubameyang, Fulham forward Andre Schurrle and Manchester United forward Anthony Martial. For more details on Premier League October Awards 2018 and related updates, like and subscribe to tentaran.com.